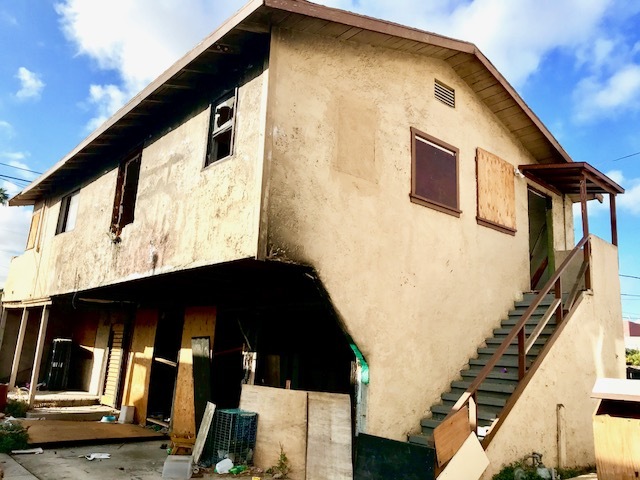 DESCRIPTION: GREAT OPPORTUNITY TO BUY 5 UNITS IN LOS ANGELES. (4)1 BEDROOM, 1 BATHROOM UNITS CONSISTING OF A LIVING ROOM, DINING AREA AND KITCHEN. REAR 2 BEDROOM, 1 BATHROOM UNIT WITH LIVING ROOM ABOVE 3 CAR GARAGE (FIRE DAMAGE). PROPERTY CURRENTLY IN REAP. PAYMENT COUPONS AVAILABLE UPON REQUEST. IT WILL BE THE BUYER’S RESPONSIBILITY, AT BUYER’S EXPENSE, TO MAKE ALL REAP AND CITY CORRECTIONS AFTER THE CLOSE OF ESCROW. SEPARATE GAS & ELECTRIC METERS. VACANT LAND PARCEL IN KERN COUNTY (APN 099-220-30) AND LAKE COUNTY (APN 035-161-19) INCLUDED IN SALE. PERSONAL PROPERTY NOT INCLUDED IN SALE. 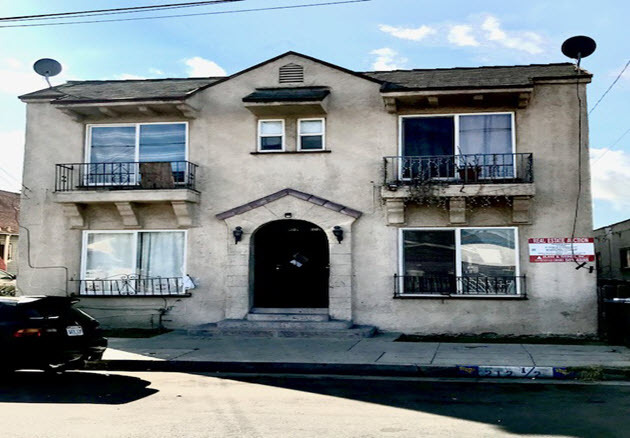 VACANT LOTS WILL BE SOLD ALONG WITH 210 W. 57TH STREET, LOS ANGELES AS ONE SALE. CITY REQUIRED CORRECTIONS AVAILABLE UPON REQUEST. PLEASE CONTACT LISTING OFFICE FOR PLAT MAPS. (818) 501-4888. PERSONAL PROPERTY NOT INCLUDED IN SALE. BUYER WILL BE RESPONSIBLE FOR BRINGING PROPERTY INTO COMPLIANCE AT BUYER’S EXPENSE, AFTER CLOSE OF ESCROW. BACK UNIT ABOVE GARAGE (ADDRESS NOT VERIFIED) – VACANT. 210 W. 57TH STREET – 5,643± SQ. FT.